My friend Valerie is a renaissance woman. She cares for three teenagers, welcomes foreign exchange students into her home, cooks, gardens, paints and sculpts, all while working full-time. 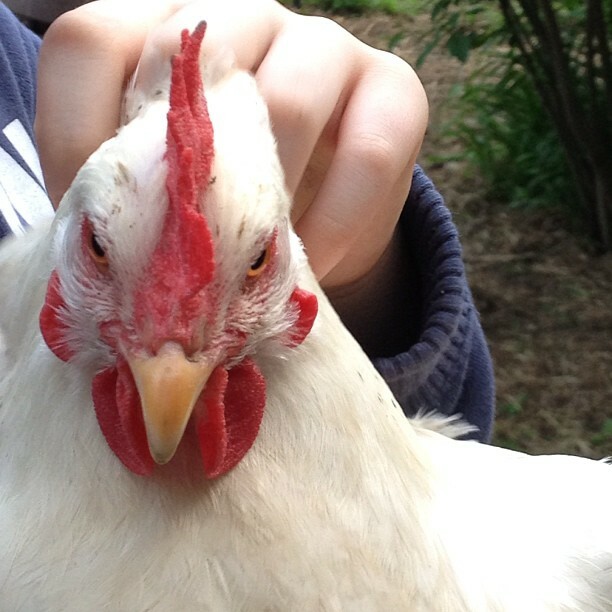 But perhaps the best thing about Valerie (in my opinion) is that she raises chickens. 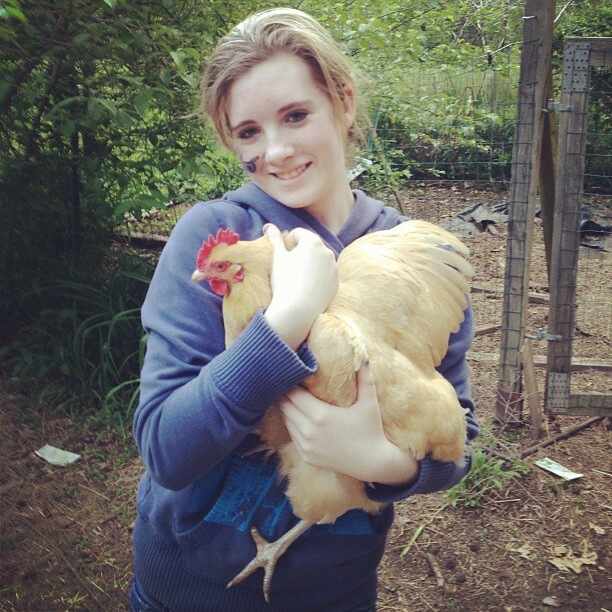 Many of you know my love for chickens. 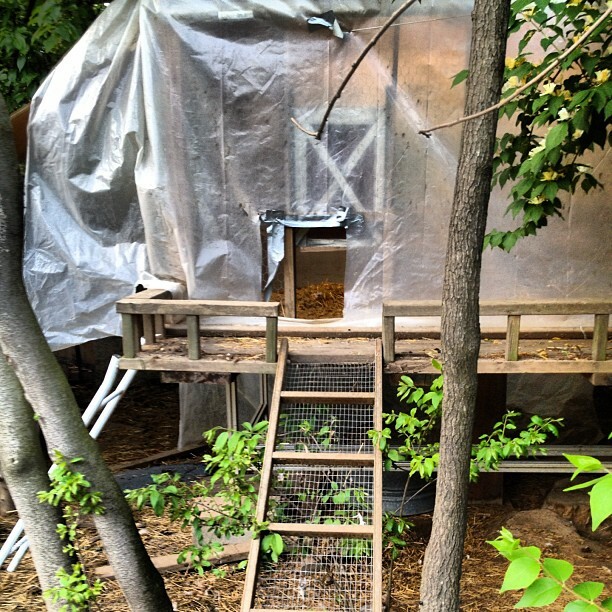 I long to have a chicken coop in the backyard, where I can collect eggs in my pinafore ala Laura Ingalls Wilder from Little House on the Prairie. That’s what I picture Valerie doing every morning (the pinafore worn over her business suit, of course). 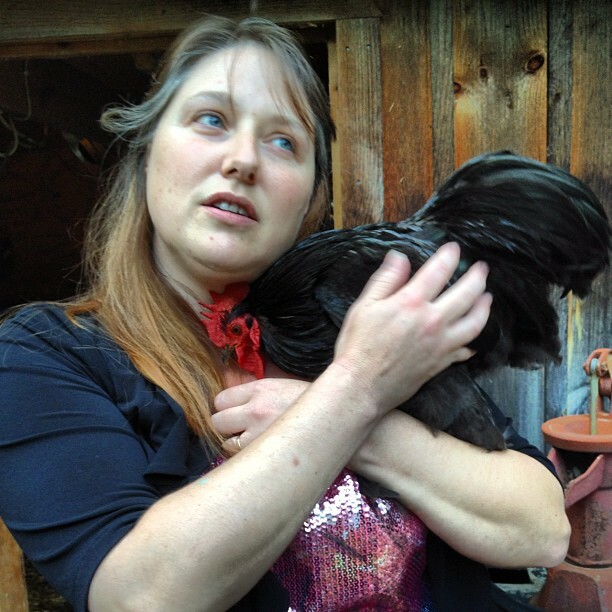 I had the immense pleasure of meeting Valerie’s chickens a couple months ago. After the chicken meet and greet Valerie served me and the husband delicious quiche. Fitting, don’t you think? I’m pretty sure this is Richard the Second. 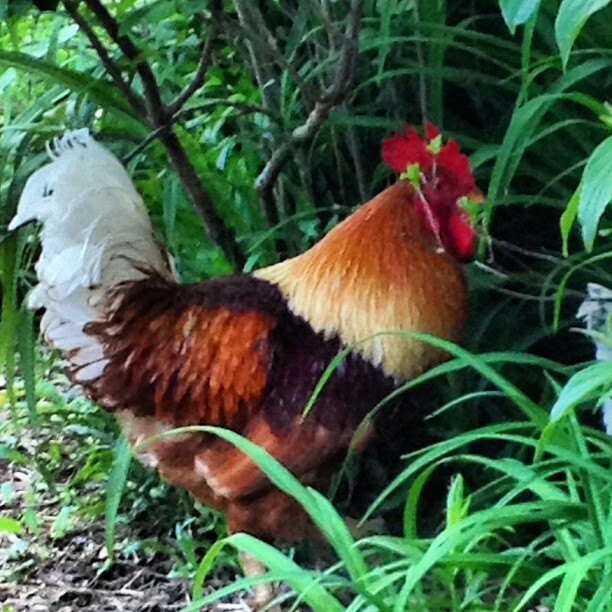 A mean old rooster that likes to pluck the feathers off his female companions. 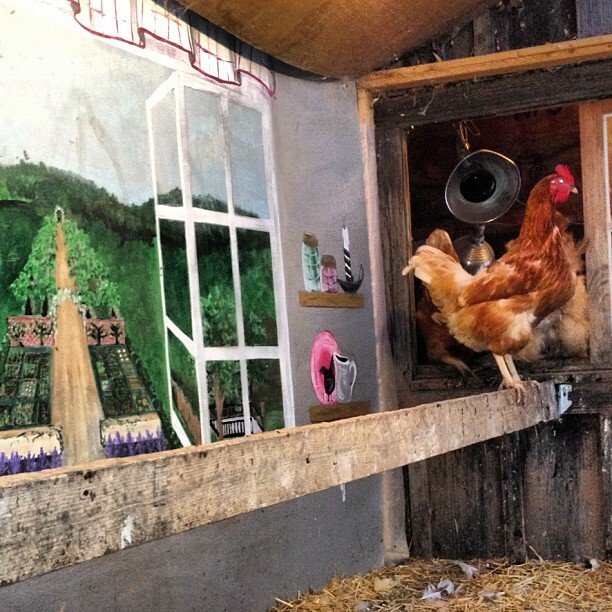 The mural Valerie painted in the chicken sunroom. These chickens are spoiled. 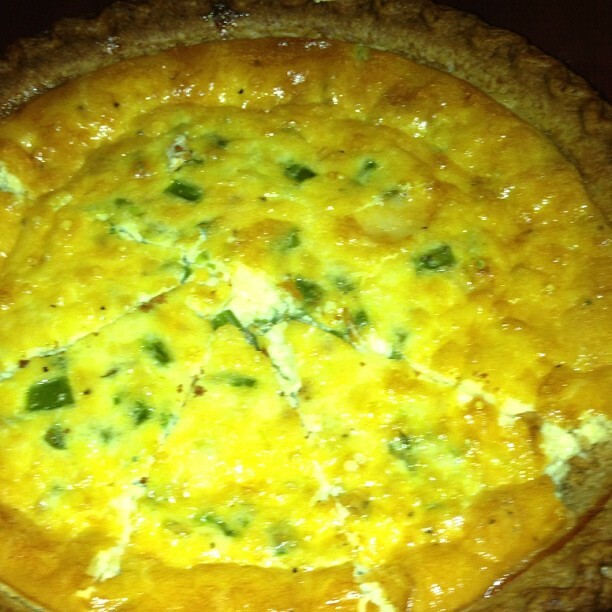 The quiche Valerie made, with backyard eggs, local cheese and spinach. She is smizing! She rocked her photo shoot. 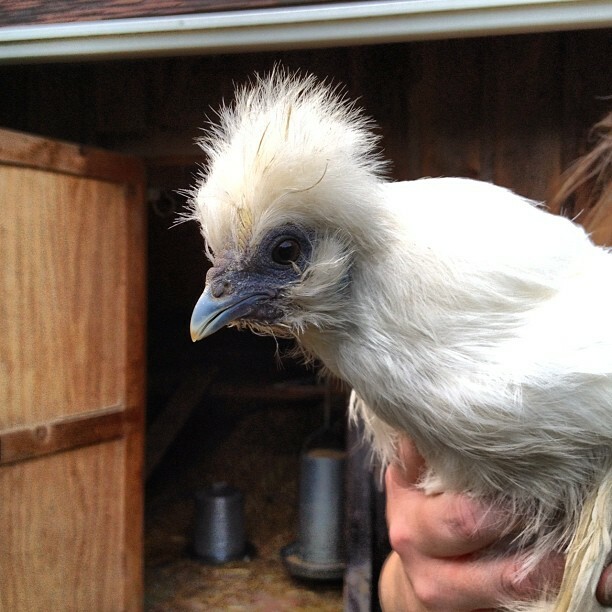 Chickens are a lot of fun and there’s nothing like freshly laid eggs. I hope to have some one of these days! Fun day out! I love your photos.